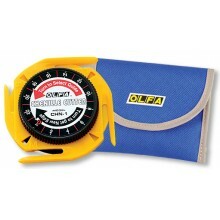 We stock the full range of the world famous Olfa® rotary cutters, Olfa® art and craft knifes, Olfa® blades, Olfa® quilt rulers and Olfa® self-healing mats. During the manufacturing process for all OLFA blades, adjustments are made to ensure hardness, sharpening angles, tapered dimensions, the coarseness of whetstone, the speed of grinding, etc. 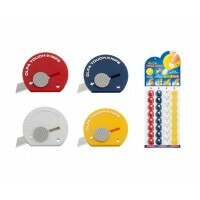 for every type, and ensure the blade has the best balance of high sharpness and longest blade life according to a usage. Olfa TK-4 Touch knife.This pocket-sized, multi-purpose knife features a stainless steel blade, blade..
Olfa Magnetic Touch Knife. 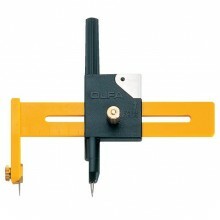 Pocket-sized, multi-purpose knife features a stainless steel blade, magne..
Olfa Art Knife AK-1 Standard art knife with pen type contoured handle and quick-spin blade change..
Olfa CMP-3 Compass CutterOlfa Ratchet Rotary Compass Cutter. 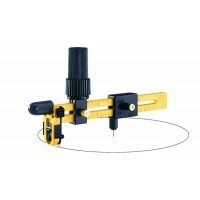 Adjustable handle position to enable th..
Olfa CMP-1 Compass Cutter Compass cutter cuts circles up yo 6 inch in diameter. 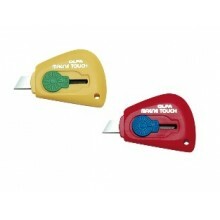 The spike ..
Uniquely designed revolutionary chenille cutter.Now you can make your own chenille at home with this.. 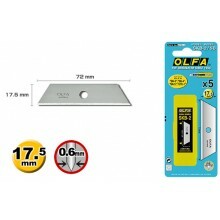 Replacement Blades 17.5mm (SKB-2/5B)Dual-edge, specially designed for high-quality carbon tool steel..
OLFA is a registered trademark of OLFA Corporation Japan - This website is not an OLFA Corporation website.